Would you like to have a fantastic memory that most people can only dream about? You can. 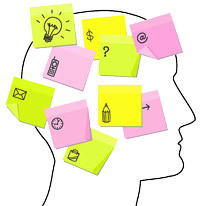 This workshop will show you how you can improve your memory in 5 easy steps. Memory is one of your most important brain functions. Without a good memory, you can't learn quickly, speak a language properly, or work effectively. Your memory plays a crucial role in your life and work. The more you improve your memory, the more successful you will be at work and in your personal life. You will learn the 5 steps you need to take to develop a better memory. These 5 steps include paying attention, repeating frequently, using association, having the right attitude, and eating and sleeping well. Using these 5 steps, you will be able to remember items, facts and figures, passwords, names and faces, and remember them for a long time. How to use the 5 steps to a better memory at work and in your personal life. Managers, executives and professionals interested in improving their memory and becoming more successful at work. Contact us if you want to run this workshop in-house for our staff and colleagues.